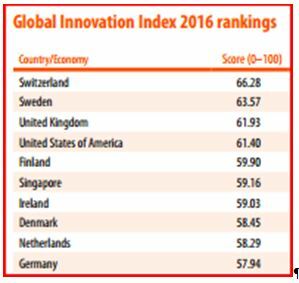 The Global Innovation Index (GII) is an annual index (first compiled in 2007) which ranks countries based on their innovative status. The GII index is based on subjective and objective data from sources including the International Telecommunication Union, the World Bank and the World Economic Forum. 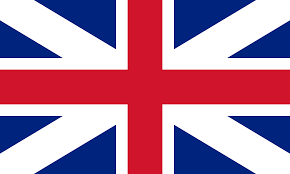 In the latest, 2016 rankings, the UK was ranked third behind Switzerland (1st) and Sweden (2nd) but above the USA (4th) and Germany (10th).